Wireless earbuds (and earphones) are becoming increasingly common. Mobile manufacturers’ insistence on stripping away headphone jacks has played a significant role in the rise of their popularity, but there’s no denying that they’re here to stay. So if you’re in the market for some new wireless earbuds (and you definitely don’t want one of the other styles In, On, or Over: Which Style of Headphones Should You Buy? In, On, or Over: Which Style of Headphones Should You Buy? There are pros and cons to each style of headphones, so let's help you decide which is best for you. Read More ), which ones should you choose? Keep reading to find out. Bose has been one of the leading names in the headphone sector for years, so it’ll be no surprise to learn that the company offers one of the best noise-canceling models available. Because they offer noise-canceling capabilities, the Bose QuietControl 30 earbuds come with a neckband. It’s where all the clever technology lives. The buds also come with a mobile app. This allows you to tweak the level of noise-cancellation to suit your environment. The feature is useful if you’re wearing them in public and need to keep one ear on traffic and other dangers. Expect the battery to last for around ten hours. The most significant drawback is the microphone quality. The audio is not as clear as rival brands’ models, meaning people who want to use their earbuds for lots of phone conversations should look elsewhere. We previously recommended the Jabra Elite Sport earbuds, and upon re-investigation, it’s clear that they’re still a top choice because they offer one of the best compromises between price and quality that you’ll find on the market. Unlike the Bose QuietControl 30, the Jabra Elite Sport buds are completely wireless. There’s no neck strap connecting the two buds together. These are also one of the best wireless earbuds for sporty types The Best Sports and Exercise Headphones The Best Sports and Exercise Headphones Exercising and listening to music go hand in hand. You pay a lot of attention to your workout gear, so pay as much attention to the headphones. It matters! Read More . They come with a step counter and heart rate monitor, they look good in your ear, and—as Ryan reliably informs us—they never fall out while you’re jogging. Not everyone wants earbuds for listening to music. If you spend a lot of time on the phone, you might prefer to buy a pair of earphones instead. If you’re looking for the best earphones for making phone calls, you need to make sure to purchase a pair with a high-quality microphone. In truth, there’s only one model worth considering: Sennheiser HD1. They don’t come cheap; you can expect to pay north of $200. But they do come equipped with an incredible microphone and an earpiece that can deliver 15Hz-22KHz and powerful bass. The design features an in-line remote below the left earpiece. You can use it to adjust the volume, skip songs, and answer phone calls. This model’s battery lasts for about six hours. The SmartOmi Q5 earbuds are one of the cheapest wireless earbud models you’ll find. You should be able to pick them up for less than $40. But don’t let the low price fool you. For the money, you won’t be able to find a better-sounding pair of buds. The sound is clear and crisp, though the bass could be better. Nonetheless, if you enjoy less bass-intensive music like folk and rock, these will be ideal. Unlike most other wireless headphones, Smartomi doesn’t offer a battery charging case. 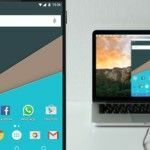 As a result, you’ll struggle to get more than a couple of hours of battery life out of them. We’ve already touched on one pair of sports wireless earbuds in the Jabra Elite Sport headphones. 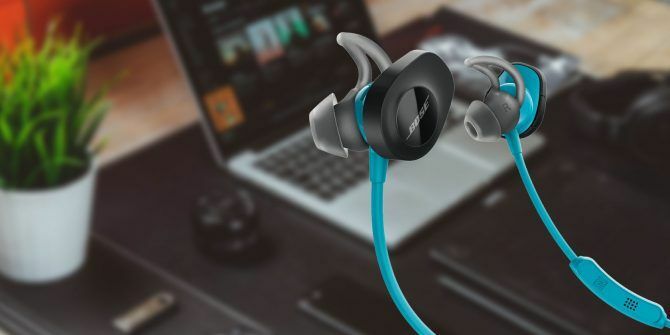 However, if you’re looking to spend top money on a premium model, the Bose SoundSport Free buds is the pair you need to consider. They are truly wireless, meaning there’s no neck strap. They also offer one of the most comfortable and secure in-ear fits out of all the buds we’ve looked at in this list. The snug fit is down to the wingtips; the tips hook into your outer ear to help hold the bud in place. And even if your bud does become dislodged and fall out while you’re exercising, you should find it quickly thanks to Bose’s Find My Headphones feature. From a sporting standpoint, you will find an activity monitor, heart rate monitor, and an IPX4 waterproof rating (meaning the earbuds are resistant to splashes but not submersion). Finally, sound-wise, you can expect to hear lots of well-defined treble and mid-range tones, but the bass is a little light. The Linner NC50 wireless earbuds are a step up from the entry-level Smartomi Q5 that we looked at earlier. Depending on where you buy them from, expect to pay $80-$90. These earbuds are almost every bit as good as some of the more well-known models. Sure, the quality of the noise-cancellation isn’t quite as high as products from Bose, but they’ll be more than adequate in all but the noisiest environments. Battery life is also more impressive than some of the other buds we’ve looked at. You can expect to get around nine hours out of a charge. Due to the ANC, the Linner NC50 buds use a behind-the-neck design, which the ANC processor located in a small box below each ear. Because of the ANC, they aren’t truly wireless. Lastly, the earbuds offer some of the best bass out of the six models we have discussed. On the other end of the scale, you might find that the treble sounds a touch tinny. It’s impossible to say. It all depends on the situations in which you plan to use your earbuds and how much money you’re willing to spend. If these earbuds don’t fulfill your needs, you might find what you’re looking for in some of our other headphone buying guides. We’ve covered the best wired headphones The Best Wired Headphones 2019 The Best Wired Headphones 2019 Looking for the best wired headphones? Here are our favorites, ranging from ultra-budget to high-end! Read More and the best noise-canceling headphones for students The 3 Best Affordable Noise-Cancelling Headphones for Students The 3 Best Affordable Noise-Cancelling Headphones for Students These are the best cheap noise-cancelling headphones you can buy at a decent price---perfect for students! Read More . And for louder sound, maybe check out some Bluetooth speakers The 7 Best Portable Bluetooth Speakers The 7 Best Portable Bluetooth Speakers Looking for the best portable Bluetooth speakers? We have you covered with options for every budget and need. Read More . Explore more about: Audiophiles, Bluetooth, Headphones, . went I check the links for the 2 products with no mic the amazon description says they have a mic. Even the little smartomi has a phone logo printed on them. oh well back to square one. The Hd1 is modeled after the Momentum actually its part of the Momentum series and yes it does come with a cable. The sound quality improves with the cable but only if your using a high end amp would you actually notice the difference. The phone does not work through the headphones when using the cable. This is an incredibly comfortable pair of headphones for under 500 dollars. Worth every dollar. The quality on the build and sound makes you wonder why you bought those other over hype cans. I've gone back to listening to Jazz since now I can hear all the nuances of the music again. I've worn these on several long flights without any fatigue. I've traveled for more than 20 hours and they held up very well. There is no such thing as total noise cancelling but these are very good. The difference between these and Bose, the Sennheiser are mad of better materials and the sound is cleaner with more definition. The Bose are only mildly better for noise cancelling. I promise once you turn on music you will hear these are superior. Please but up your tray table and enjoy the sound. Jaybird really didnt make the cut??? Looking to cop a pair for under $40, check out Phasier. All their BHS series earbuds are legit. Above average sound quality, loads of extra tips and find for that perfect fit, sweat/waterproof, and I've been seeing about 8-9 hours of battery listening to music. The article is named "Best Wireless Earbuds..." Then you give everyone of them a con for not being wired?